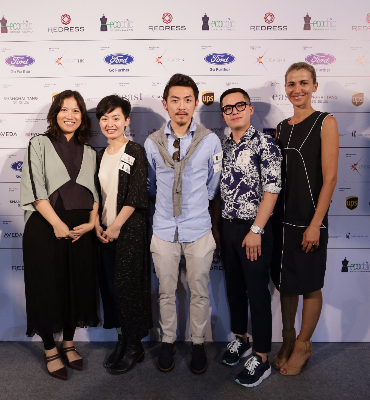 [13 May 2015] Today saw waste – reducing fashion NGO, Redress officially open The EcoChic Design Award 2015/16 cycle of their sustainable fashion design competition for emerging designers alongside their Fifth Year Anniversary Exhibition at Hysan Place in Hong Kong. The event served to celebrate the competition’s growth since its inauguration in Hong Kong in 2011,when it accepted entries from Hong Kong only, to now including over 100 countries across Asia and Europe. As the world’s largest sustainable fashion design competition that challenges designers to reduce and reuse textile waste, the competition’s legacy is putting waste back into fashion. 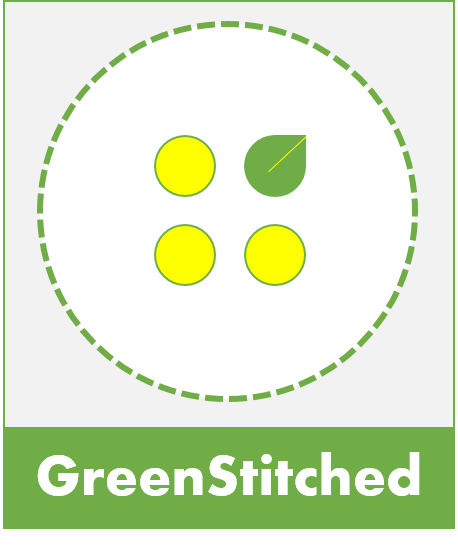 The competition promotes the importance of rethinking fashion design education and the use of minimal waste design techniques as solutions to the growing issue of textile waste that is generated by the fashion industry and consumers globally. In China alone, the total annual production of pre and post – consumer textile waste is estimated to be around 26 million tonnes. the agenda for waste reduction. It has inspired the fashion industry’s emerging talent to see waste as an attractive resource and highlights a viable future for sustainable fashion,’ said Mr Jerry Liu, Head of Create Hong Kong. Create Hong Kong is a dedicated agency set up under the Commerce and Economic Development Bureau and has sponsored the competition since 2011.
in any Asian or European country until the deadline on 15 August 2015. In their bid to cut waste out of fashion, applicants must incorporate one or more of the three sustainable design techniques of zero-waste, up-cycling and reconstruction into their designs. An expert line-up of judges will select 30 semi-finalists in early September 2015 and the resulting 10 finalists, announced on 15 September, will then come to Hong Kong in January 2016 for the Grand Final fashion show at HKTDC Fashion Week. They will also take part in a series of educational workshops including a design challenge with Ford Motor Company, Gold Sponsor of the competition. In addition to the main competition prizes, Redress will provide further opportunities for the competition’s alumni, who are the community of designers who participated in previous cycles, in order to support their ongoing development as sustainable fashion designers. The opportunities include the introduction of Redress’ The EcoChic Design Award Alumni Network to nurture emerging designers’ careers in sustainable fashion and a business development award. International judges are Raffaele Borriello, Creative Consigliere, Shanghai Tang; Orsola de Castro, Fashion Designer, Co-founder of Estethica and Co-founder of Fashion Revolution; Susie Lau (Susie Bubble), Fashion Writer and Editor; Anderson Lee, Vice Chairman of the Sustainable Fashion Business Consortium (SFBC); and Stephanie Zhu, Fashion Editor ELLE China. Key sponsors are The Create Hong Kong of the Government of the Hong Kong Special Administrative Region (Major Sponsor), Ford Motor Company (Gold Sponsor), Shanghai Tang (Prize Partner), UPS (Logistics Sponsor), ADM Capital Foundation (Bronze Sponsor), EAST (Hotel Partner). Other partners include Bloomsbury Books, Ethical Fashion Forum, Hysan Place and Aveda. The EcoChic Design Award 2015/16 Ambassador is Supermodel Bonnie Chen. For high-resolution images, statistics, further information and videos please visit our media kit here. universities, multilateral organisations, governments, NGOs, financial institutions and media organisations. – China Association of Resource Comprehensive Utilization (2013). This entry was posted in Recycling and tagged EcoChic, Hong Kong, Shanghai Tang, Sustainable Design, Upcycling, Waste.